Vivarium is a Charity that developes, incubates, promotes, supports and works with and within a few other proyects: small bussineses, people, groups, all within Mexico's city and in the country. As a workplace it is situated in the "chinampa" inside the Xochimilco's Chinampas zone protected by local authorities aswell as UNESCO, that after 1999 considered the area a Natural Reserve and protected area, Treassure of Humanity. 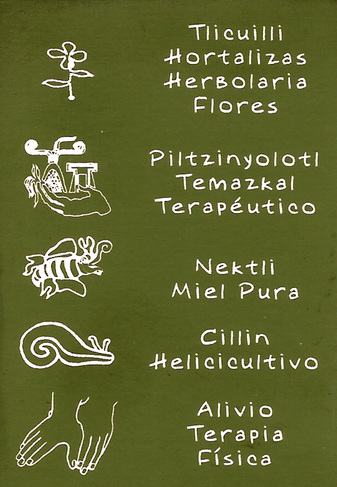 This place has been named "Tlicuilli Farm" and developes according to ethics and principles of permaculture desing, setting an alternative for the sustainable use and better managment of productive farmlands between the protected area and the big city. Vivarium-Cualti is an strategic allianze of people with the objetive to do urban agriculture as an alternative of sustainability and environmental education in the City. Cualti coordinates, organize and manages the events in Tlicuilli's place. This events are workshops, courses, cultural gatherings, eco-tourism, ecology actions and groups dinamics. One of the main objectives of the work that happens between Vivarium & Cualti is the crops management and production of our own food, which is shared among all of us that come and work. From this principle we had decided to practice and reuse old ancient crops techniques, as it is Chapin (seedlings made from mud rich in nutrients), plus incorporating the permaculture design principles "to integrate more than segragate". 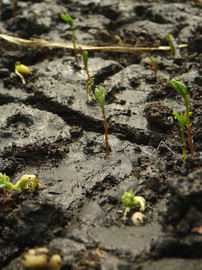 The crops have also been complemented by other modern practices or more innnovative as it is Bio-intensive and Sinergic techniques, both following Agroecological techniques wich respect the balance that has to exists on an ecosystem. It all has been easier because the chinampa or wetland is one of the more resilient (productive) of the entire wolrd. Vivarium & Cualti, by means of workshops, courses, talks and events of many kind, seeks to teach to any person interested or not interested, in all or some of the cotidian practices, urban agriculture to promote and develope the respect among our environment and other living beings which whom we live. (pets, animals, plants, insects, etc.) All starting from getting to know from where and how we have a plate of food on our table every day! "Because the most healthy thing to do is to asume our taks as creatures from the creation"
How to get to the Chinampa Tlicuilli? ?